Chicano Rock legend Richard Bean comes from unique lineage and was destined for fame. His great, great grandfather is the infamous Judge Roy Bean whose reputation was well known in the Southwest during the late 1800’s. Judge Roy Bean dispensed his own brand of creative justice with compassion and no doubt would have been proud of his grandson, Richard Bean, whose legendary musical credentials date back some four decades. Born in El Paso, Texas, Bean moved with his family — dad Joe is a World War II Army veteran — to Los Angeles and then San Francisco’s Hunters Point. Mom Antonia worked in retail and he has a sister. Bean’s musical interest began in junior high school when he kept trying to get sound out of half-brother Joe’s saxophone. Neighborhood soul rhythms impacted styles of the Dynamics, Wizardz, Righteous Ones, Jet, Casanova, Malibus, Fabulous Malibus. Some included the Santana Bros.
Sapo was formed by Bean in the mid-’70s after his days as a timbale player with Malo came to an end (not necessarily on his own terms). Having written “Suavecito” (which he’s often heard referred to as “the Mexican national anthem”) and numerous other songs, Bean was looking for more of a frontman role. Sapo’s lineup has fluctuated several times over the years and gone through some periods of hiatus. 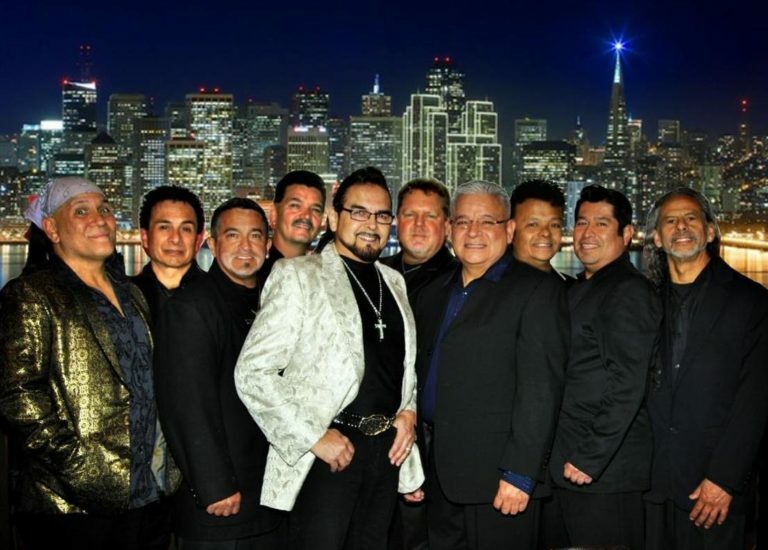 Despite all that, Bean has maintained a visible touring presence for more than 30 years, still playing shows alongside the likes of Carlos and Jorge Santana, and other prominent figures on Bay Area Latin rock lore. His Latin Rock band Sapo is still fiercely popular with three decades of loyal fans. Playing everything from their standard Chicano favorites to the classics like Suavecito and others.